So, to salt or not to salt… Get another glass of wine I reckon if you’ve just read the other posts on eggplants! This is carrying on a bit and you need to sit down and make yourself comfortable! I don’t think there is any need to salt modern varieties of eggplant before cooking – which you used to do to back in the day to draw out bitterness – because bitterness has been bred out of modern varieties. However, if you grow them yourself, or grow heirloom varieties, every so often you will come across a bitter one. How do you tell? It smells strongly of green capsicum/bell pepper and may have a detectable green ring just under the skin. You need to deal to it because a bitter eggplant can ruin a dish. Slice or cube it, put it in a colander, sprinkling with salt as you go, and leave to drain for 30 minutes. Pat dry with paper towels before using then carry on with the recipe. 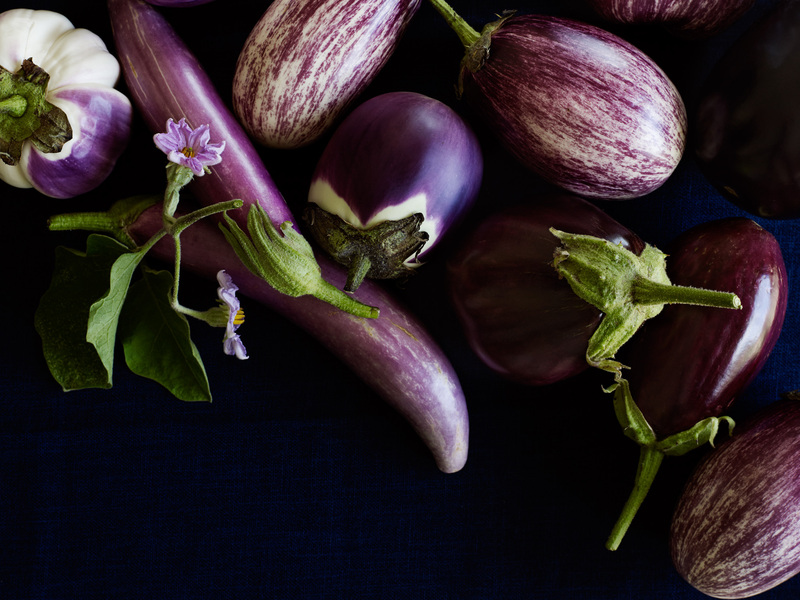 However, removing moisture from eggplants by salting them is useful when they are to be pickled because the less watery stuff which seeps out of the eggplant into the jar, the higher the ratio of vinegar/oil to eggplant, and therefore the longer the eggplant will safely stay preserved.